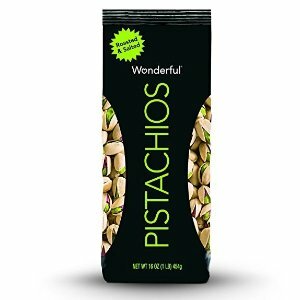 Amazon.com offers Wonderful Pistachios, Roasted and Salted, 16-oz Bag for $5.69 via Subscribe & Save. Features: Naturally gluten free. Lowest calorie nut. Lowest fat nut. Add healthy snacks to your diet. Much better for you than chips.